Colorado essentials for childhood: Back to School: Who is caring for your young children? The truth is that the adults who provide the care and education for young children bear a great responsibility for their health, growth, development, and learning. This is an important, complex, and dynamic job that requires specialized knowledge and skill to be effective. Decades of research have demonstrated the critical importance of the early years on later success in school and life. While some would agree that esteem for teachers at all levels is declining, lack of respect for the early educator is particularly striking. Furthermore, the relationship between an early educator’s compensation and educational attainment is weak. While other levels of education have more extensive public financing, families pay, on average, 60 percent of the cost of child care. This is a big bite out of the family budget– about 8 percent on average and up to 40 percent of the budget for low-income families. Given the high cost, many families who leave their precious children in child care or preschool are completely unaware that the compensation of early educators is one of the lowest in our nation. Because there has been little compensation progress over the past 25 years, many early educators live with economic insecurity and concern over having money for food, transportation, health care, and housing. 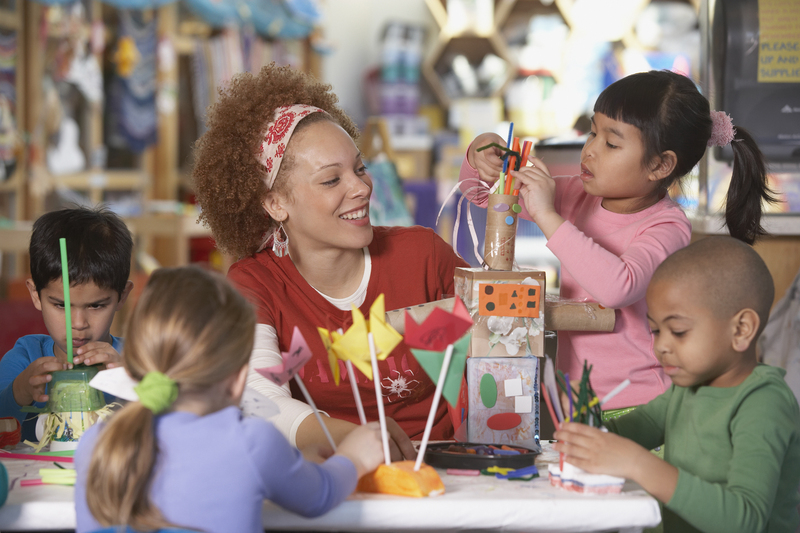 Do most families know that child care workers earn little more than $10 per hour? That preschool teachers earn about $15 an hour? And do families know that, generally speaking, for programs not affiliated with public schools, there are no formal workforce standards such as appropriate planning time, and dependable schedule, and increased compensation based on education and training? As we all prepare for the fall ritual of back to school, we call for greater public understanding of the value of early education and the vital role of the people who do that work. Our children’s success is definitely tied to the qualifications, compensation, and working conditions of the early educator. There are multiple paths forward, but regardless of the path, increased public support and respect for the early educator is essential. The field needs defined and universal practice standards and a focus on competencies, like those identified in the Child Development Associate credential. Early educators ourselves must exercise a stronger voice in speaking on behalf of this profession and the children we serve, using strategies such as those we suggest in my new book, The New Early Childhood Professional (with Brenda Gadson and Kathryn Amel). It’s back to school–for all children including infants, toddlers, and preschoolers. What do you know about the hands and minds that are caring for your young children? Perhaps you need help writing essays or research papers. I sometimes use such sites trentassociation.net . And indeed some topics are overly difficult for me. But I'm trying every possible way to increase my skill and intensively engaged science. This is probably a new vision of the future in their children's education. I partially agree with that, as I have done research on this topic. It was recently, I wrote an essay for one service http://paidpaper.net/case-study/. They help with the formation of a professional. I advise you to study in greater detail, which would give a future to your words, not just a thesis. I think that you write a good essay topic and uncover through. Well, unfortunately, our education can't grow up as fast, as it must in modern world. Thus, children must attend different courses, lectures and have an extra education. It's not so great, but it's the only way to make them really smart nowadays. According to rating of Essaysdeluxe only 30% of schools in first world countries are able to provide at least 70% of useful knowledge.